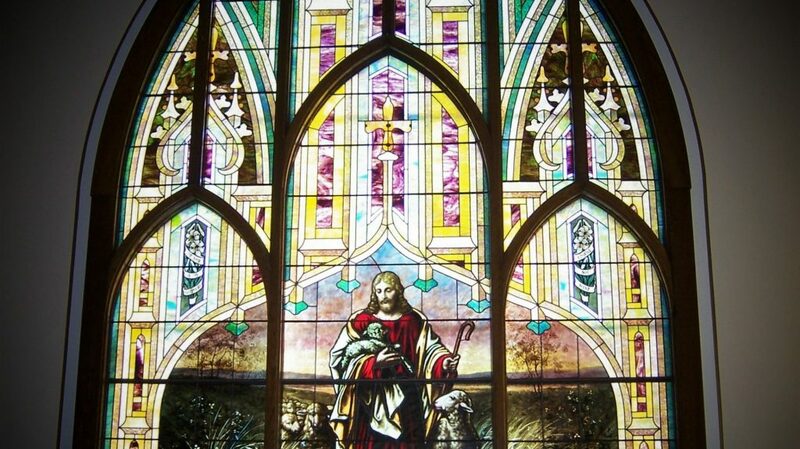 The St. James Trinity Library is a special place where guests find books and videos offering history, Christian values, spirituality and stories to spark the imagination. It is a dynamic place that bubbles with inspiration from the past, present and into the future. Library guests are blessed to find a well-organized space with materials for children and adults alike. LIBRARY HISTORY: The library has been at the church since at least the early 1960’s! Many members over the years, and the current staff, have worked diligently to keep the library a living, loving space. Their contributions are sincerely appreciated by all. BEST PARTS OF THE LIBRARY: There is joy in having the children come and check out books. It is wonderful to watch them grow through reading. 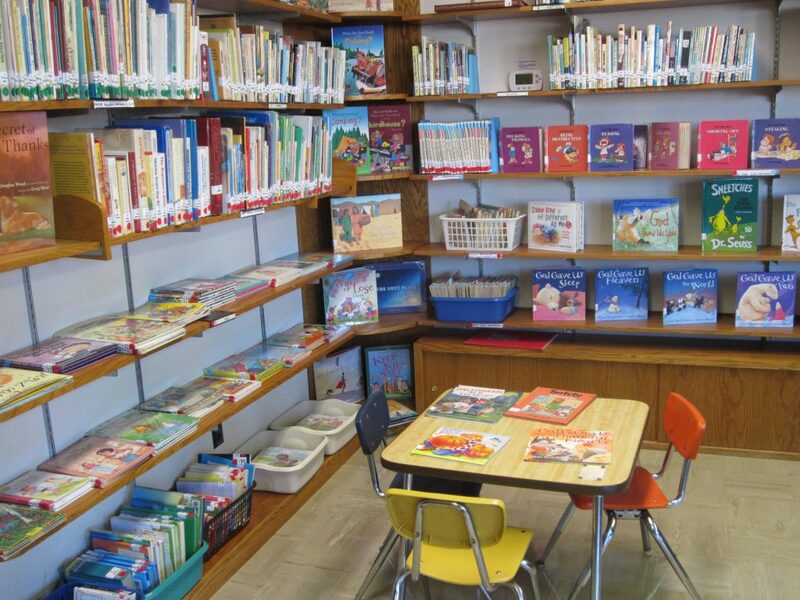 The great selection of books encourages not only children, but adults to come and feed their reading needs. There are educational books and books just for entertainment. The rows of videos/DVDs are also a great resource for entertainment and knowledge. THE LIBRAY IS A DYNAMIC PLACE: New materials are routinely added while outdated materials are retired from the collection. There are over twenty-five new DVDs and a large selection of new books for children. Several biographies, donated by Pastor Joanne, have also found their ways onto the shelves. LIBRARY USE: Many people pass through the library doors including school-aged children, confirmation classes, teachers, parents and members. The children often come on Sundays and Wednesdays, while members often check out books and purchase greeting cards on Sundays. box of 12 cards costs only four dollars! These cards are ordered on a regular basis so they are always fresh and new. 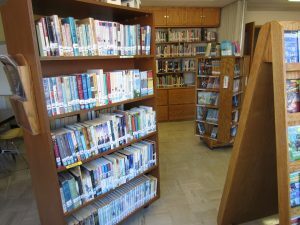 The library is set up in a self-serve manner so that individuals can check out library materials or purchase cards even if a librarian isn’t present. HOW COULD SOMEONE HELP OUT: Individuals can help by assisting with staffing; offering ideas; assisting with the greeting cards, books and materials; donating items; making financial donations or offering memorials; processing books for display; helping to decorate so that the library remains inviting; and helping with book check-outs and returns. But first and foremost, you can help by stopping at the library and getting acquainted with the resources and staff. Then you can go out and share your experience with others, encouraging them to come and partake!